Students at the Derby High School experienced a fantastic day equipping them to be model citizens in modern democratic Britain. The BSafe BCool day, run annually, is always an action packed day. Bury College Performing Arts students began the day, delivering a powerful themed performance focusing on racism, prejudice and bullying whilst also covering legal issues, drug misuse and health concerns. Greater Manchester Police delivered their session on crime prevention whilst Sodexo Prison Services delivered a thought provoking session on the consequences of crime. Anti-social behaviour and health was expertly covered by Health Trainers, Six Town Housing and the Fire Service. The multi-agency involvement on the day was phenomenal as each agency delivered in their own style but they all had one, united message of Bsafe BCool! 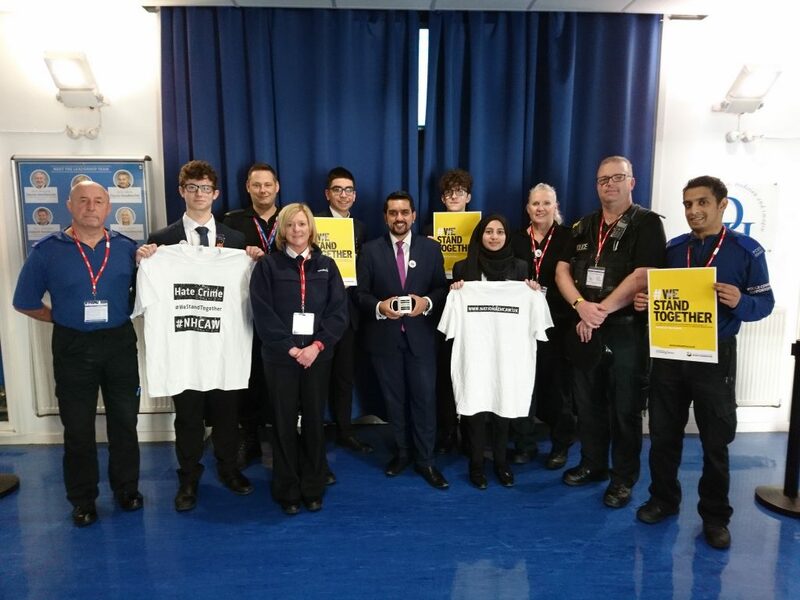 As part of the whole school message of being outstanding role models, standing up for equality and justice our hate crime ambassadors were highly visible as part of hate crime awareness week and throughout the day of BSafe BCool. Councillor Tamoor Tariq who opened the BSafe BCool event is pictured below with our Hate Crime Ambassadors. Hate Crime has no place in modern democratic Britain and The Derby Ambassadors made this very clear!